Design of novel implants that will bring breakthroughs not only to treating retinitis pigmentosa but also other conditions. SPAIN – With age, the macula, a thin layer of the retina, begins to degenerate and eventually leads to vision loss. In some people, however, this degeneration begins long before they age as it caused by genetic inheritance. This disease is known as retinitis pigmentosa and it causes blindness around 40 years of age and for which there is currently no cure. “People who suffer from macular degeneration or retinitis pigmentosa have an intact optic nerve. Therefore, could stimulate through innovative, flexible implants that are well adapted to the curvature of the retina, of materials based on graphene, highly biocompatible, so that the optic nerve managed to capture images of the outside “, said José Antonio Garrido , ICREA research professor at the Catalan Institute of Nanoscience and Nanotechnology (ICN2), during the presentation of the new line of work dedicated to biomedical technologies which is inaugurated within the framework of the ambitious European project Graphene Flagship. These retinal implants are one of the possible and promising applications of graphene and other two – dimensional materials. This is because of their fineness where they have the minimum possible size. In the case of graphene, an atom – thick layer which makes them have much more area to volume ratio. Due to their properties, these new materials could have many therapeutic biomedical applications, which are those that new initiative will explore. “In the next four years we will try to develop new implants, which provide properties that until now did not exist and that allow us to monitor from epilepsy, to treat Parkinson’s disease or severe depression that does not refer to drugs,” said Garrido. At the moment, the initiative will focus on three specific areas: ophthalmology, neurology and surgery. And it will try to assess how these materials behave compared with the existing electronic technology. To illustrate the extent to graphene and other two – dimensional materials could improve the treatment of some diseases, Rosa Villa, researcher at the National Microelectronics Centre (CNM-IMB-CSIC, CIBER-BBN) explained how patients with profound depression have deep stimulation applied to them by inserting electrodes in the brain that apply electric shocks. The electrodes are changed regularly because they in a very oxidative environment hence corrode. Moreover, these electrodes pick up little information. However, if these electrodes were made of graphene, “allow greater interaction with the body, it would not need to change them so often. We do MRIs allow patients to monitor if they improve and could get a higher density of information, “said the scientist. They could even design devices that transported biological molecules capable of reaching specific areas of the body and release drugs there. The applications of these materials do not stop here and experts say it could even help people with disabilities to be controlled from the wheelchair to prostheses or home automation households. “These implants will be able to read the signals from the motor cortex and translate them into orders,” said Garrido, where the first implants applied will be for those that are less invasive. “For example, for a brain mapping and monitoring function before an operation,” he said. 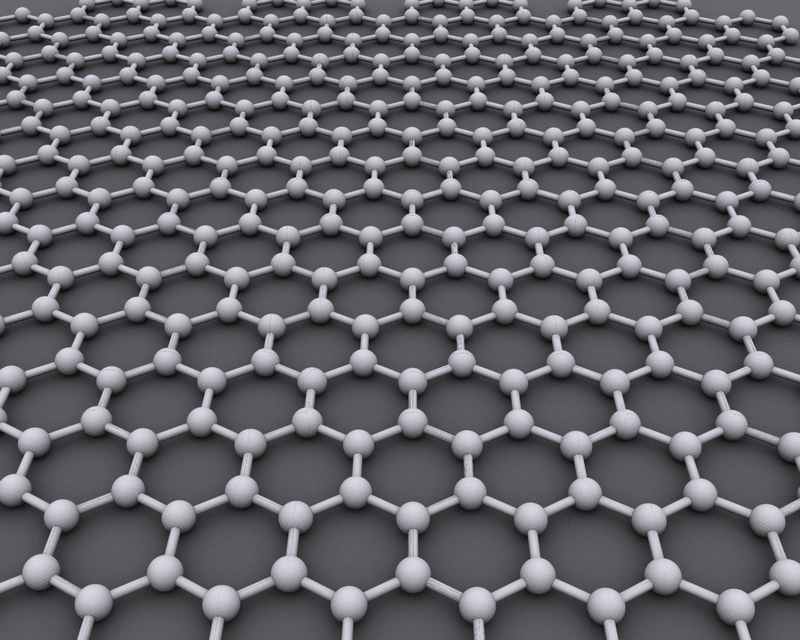 Graphene Flagship has a budget of 1000 million euros and has 10 years’ duration. It is a pioneering project, the largest European and global initiative to date designed to investigate graphene and other two-dimensional materials, in order to bring the laboratory to society. It began as the Human Brain project, the other major flagship of the European Commission in 2013 and 150 members from 20 different countries participating. It is divided into different work packages, each focused on a topic, from health and the environment, to energy, sensors and biomedicine. The launch of this new being held in Barcelona is no accident: the Catalan capital is a leader in biomedical research in Europe and also in the science of two-dimensional materials.